Marc Doyle began his tree surgery in 1984 establishing his business by his own name. 25 Years of a great reputation transformed Marc Doyle Treework into a brand when the company changed hands. Chris Corfe became the new owner and operator of Marc Doyle Treework after returning from the UK in 2009. 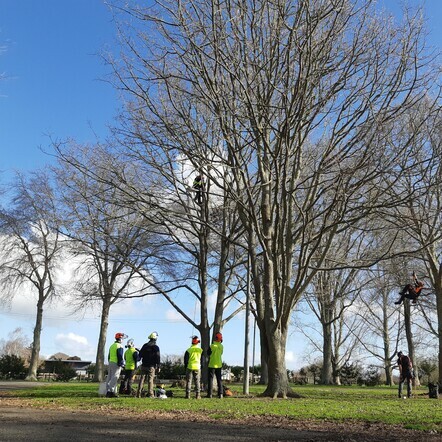 Our team are qualified and experienced arborists based in Hamilton, serving the Waikato with quality tree pruning, tree removal, stump grinding and many more tree services. The scale of our work varies remarkably; no tree is too small or too large because we have the experience, equipment and insurance to carry out a safe and professional job. 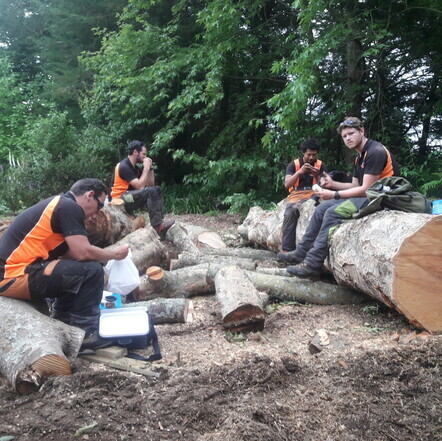 As qualified arborists we have an abundance of science-based knowledge that focuses on the health and safety of individual trees, as well as the needs of our customers. Our training, experience and our passion delivers the expertise unlike any other in our industry. Through honest communication with our customers we deliver a standard of service that will leave the customer thrilled and the environment healthy. Enquire now for a free and affordable quote! We are very particular in the way we work because precision in arboricultural is a matter of safety, on top of achieving the best results. We'll take care of your green space so you can focus on other things. Explore our services and enquire for a free quote.